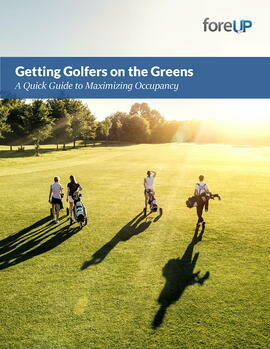 Learn how to maximize golf course occupancy levels through online marketing. Welcome to the digital age of occupancy. Boosting numbers at your course or club has never been easier, when you know what tech-tricks to try. Sound frightening? Don't worry! Our golf marketing experts have broken it down in plain English. foreUP provides the most intuitive and easy to use software in the market. When other softwares have been built by engineers for engineers, the foreUP team has worked with golf managers and professionals within the industry to create software built by golf pros for golf pros. foreUP assesses your needs and thoughts and builds solutions that makes your job easier. Come join us in our mission to create the most innovative golf software the industry has ever seen.